Kathy Mattea sings Mary Did You Know?. If you’ve never heard it, click the link to the YouTube video. Powerful. I’m not given to the Hermeneutic of Doubt in modern scripture scholarship, nor do I take a fundamentalist approach. However, I do believe what Paul wrote to Timothy when he said “All scripture is inspired of God”. On the cross, Jesus gave Mary to John, the beloved Apostle, to be his mother and he her son. Mary lived with the Apostles, was present in the room on Pentecost, and was no doubt the source of the infancy narratives, the Annunciation, Joseph’s angelic dreams and visions, Elizabeth’s story, the finding in the Temple at age 12, etc. The Gospels tell us that Mary contemplated all of these things in her heart. Jesus came out of Kairos, which is God’s eternal time, with its perfect knowledge of all that would come to be. Mary, like us, lived in Chronos-our time. One day at a time. Knowledge of history, the present, but not of the future. It all must have seemed so bewildering to her, how this plan of salvation was to play itself out. It’s no different for us, really. When Regina was pregnant with our three children it was all so exciting. Certainty and uncertainty. Faith and trepidation. When she was pregnant with our first child, Joseph, I would catch her holding her abdomen gently and looking off into the distance pensively. Contemplation of the miracle unfolding within her. Contemplation of the future. Gratitude to God for this miracle after four years of trying to no avail. Then came his birth. The miracle of my friend, a high risk specialist just looking in on a routine pregnancy, catching a nonreactive labor on delivery day with Joseph hours from death. The emergency C-section. The beautiful boy. The bright promise. After years of botched diagnoses, the shattering multiple diagnoses at age five of autism, ADHD, static encephalopathy, cerebellar deficit, mixed expressive/receptive language disorder with functional equivalent of 2.2 years. Shock. Fear. Mind-numbing fear. Faith and marriage tested to the limit. Careers reordered to devote full time to Joseph. The progress. Hope restored. A boy who now only appears shy and slightly awkward. An A student reaching out to make friends. Regina and I know how Mary contemplated all the events in her heart. We sat with Mary in contemplation for countless nights. What good can come from suffering? Is it worth it all? I think of the many people who are working out their salvation in ministering to these children as speech therapists, occupational therapists, physical therapists, special education teachers, psychologists, social workers, and parents. Suffering calls forth the best in people around us. It trains them in holiness. It prepares them, and us, for eternity. When I hear of people aborting their handicapped children, of genetic counselors and obstetricians who are relentless and remorseless in badgering women into abortion, I understand the parent’s fear. I also pity them the loss. I loathe the perversion of science and medicine by my peers, the conspiracy of silence about the wonderful possibilities for these children’s growth. These autistic and Down syndrome children are the sweetest little people. They live as Jesus wants us to-in the moment. They compel us to do the same with them. Looking back over ten years with Joseph, those have been our best moments. They’ve taught us to understand the Lord when He says, “My grace is sufficient for you”. Every parent gets the grace they need for a special needs child. We need to help the bewildered to see whence that grace comes, to be a part of that grace in their lives, to ease their burdens, calm their fears. 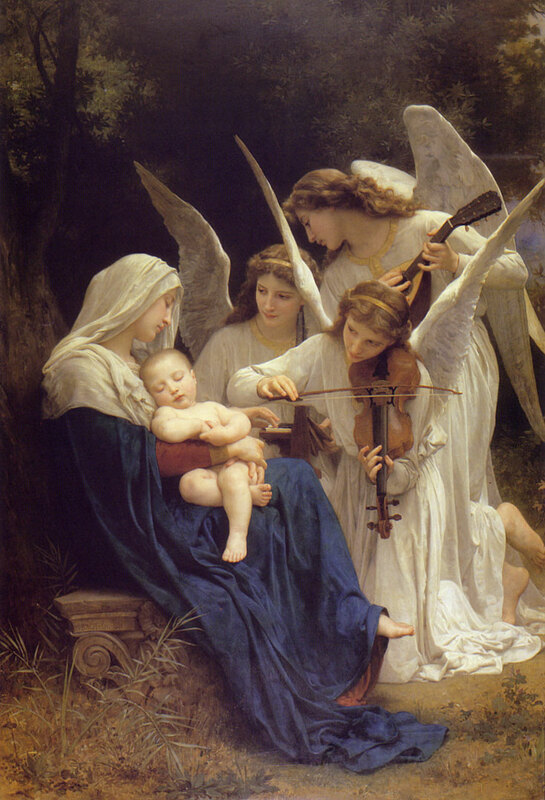 We must bring them to Mary, with her mother’s heart, and share her contemplation of just what it all means. Nice post Gerard. My 9 year old son has severe ADHD and epilepsy. From what I understand, with ADHD the neurons in the brains are firing like crazy which can make concentrating difficult…..He has trouble making friends in school because he is a little odd, but I wouldn’t trade my son for anything and love him very much. He has made good progress, a little bit behind his peers but not much. Great post on suffering and what it means to be a parent. Self-sacrifice, and putting others before oneself. Imagine if Mary did not do this? We would not have had our Saviour born to us. Even though my children do not have physical and learning disabilities, children are great teachers of self sacrifice and how to love – IF we let them!